On this day 65 years ago, the very first Berlin International Film Festival opened. H-BDAY! What does H-BDAY stand for? 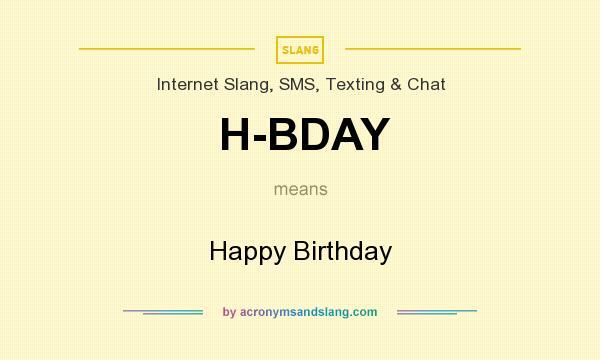 H-BDAY stands for "Happy Birthday"
How to abbreviate "Happy Birthday"? What is the meaning of H-BDAY abbreviation? The meaning of H-BDAY abbreviation is "Happy Birthday"
H-BDAY as abbreviation means "Happy Birthday"